Collaboration: PMA Landscape Architects Ltd.
St. James Park is one of Toronto’s oldest and most beloved downtown public spaces, situated immediately adjacent to the historic Cathedral Church of St. James. 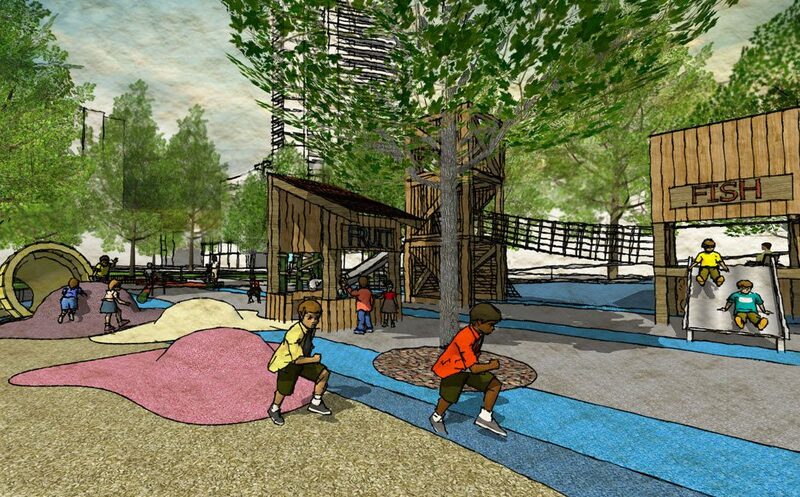 Working with PMA Landscape Architects, we designed a themed playground to reflect the site’s rich history of the adjacent Market Lane and district. The play sculptures and structures integrate nature and natural materials to represent the physical space of an historic market as well as playful food elements available for sale. Food market stalls and over-sized stacked food crates are the landmark playground features. Surrounding them, children will find a spilled ice cream cone, an asparagus climber, and carrot balance beams. 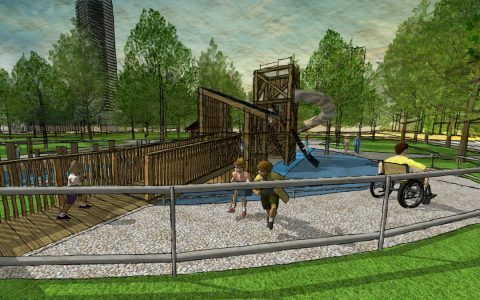 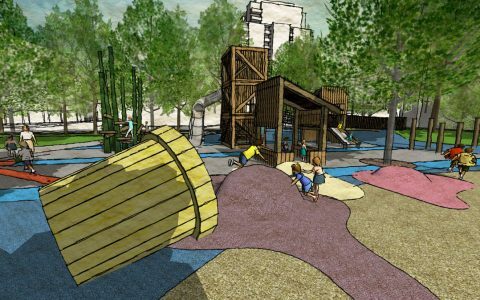 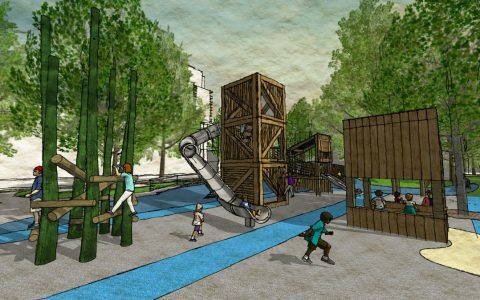 Designed to inspire children’s creativity and offer challenging and interesting play opportunities, the new playground will attract local children and become a destination playground for Toronto’s downtown.